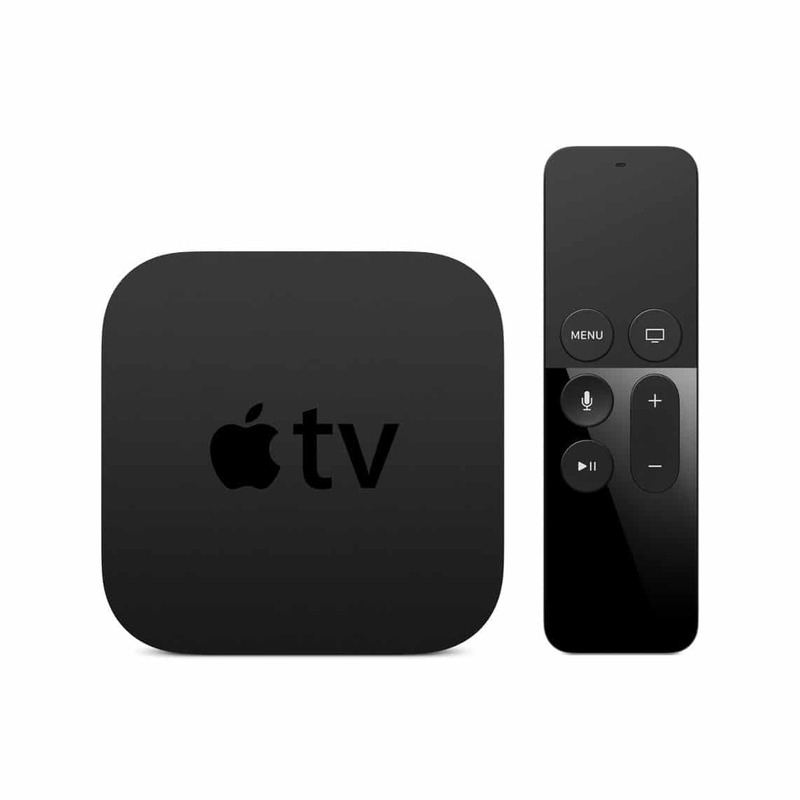 Now you can immerse yourself in your TV screen by using the same profound experiences offered by iPhone, iPad and Apple Watch – by connecting you directly to the screen using simple, natural movements of your finger, the new Apple TV interface solves . Touch. The most natural way to navigate. The glass Touch surface on the new remote was engineered to provide an experience that feels both fluid and precise. What your finger does on the remote is exactly and immediately what it does on your screen. It’s so natural, in fact, that your eyes don’t even need to look down. You never have to hunt for a button to press or have a light on to see. Voice. The most efficient interaction tool ever. There’s no easier way to interact with something across the room than using your voice. The Siri Remote lets you do what’s natural — just say what you want to watch. Siri takes you exactly where you want to go without having to click through multiple menus to get there. A clean design that brings your content to life. Screens throughout the new Apple TV have been designed to let the content be the hero. And the use of parallax makes film and TV show posters visually come alive while clearly showing you where you are on the screen. You’ll feel like you’re interacting directly with your TV screen, not separated from it. Double-click the Home button on the remote and you’ll see the apps you’ve used most recently. So you can quickly switch from, say, Netflix to NHL, or from an iTunes film to the Rayman Adventures game you were playing, without having to go all the way back to the Home screen. Move your most-used apps to the top row of the Home screen for faster access. For example, add Netflix to your mix, and when the icon is selected, shortcuts to Netflix content appear above. Just click a title to start watching. When you’re not actively using your TV for a period of time, your screen relaxes by showing captivating new aerial videos of scenic cities and landmarks. 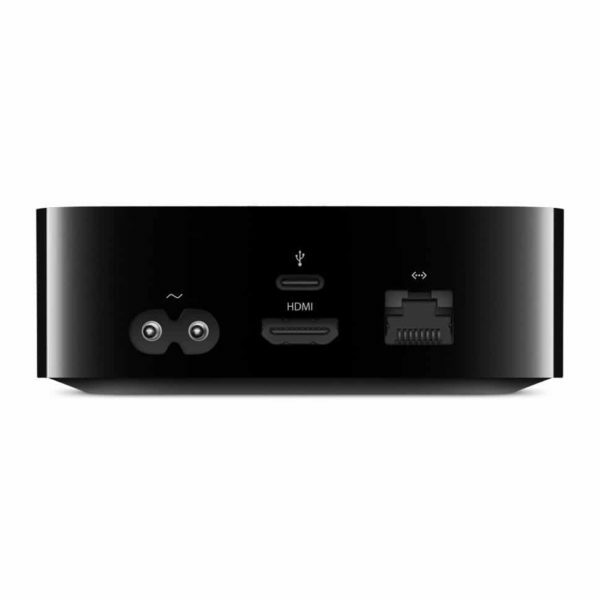 Even at rest, your Apple TV entertains. Siri does the digging. So you don’t have to. Searching for a film used to take almost as long as actually watching the film. 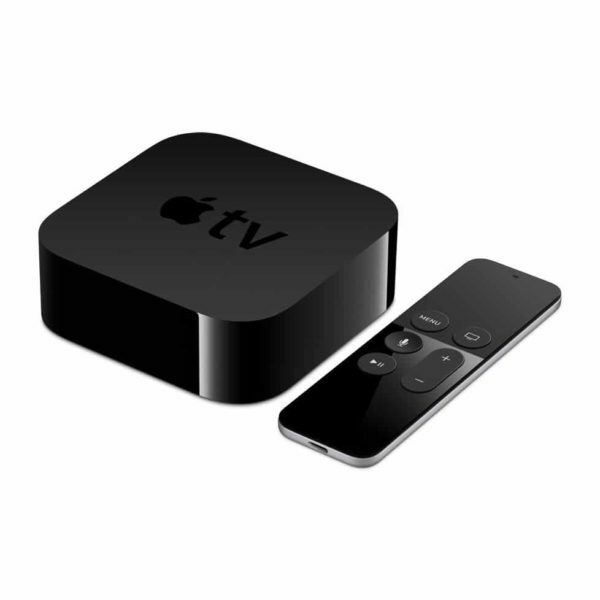 With Siri, you can quickly search for a film or TV programme across popular services, including content apps such as iTunes and Netflix. All your viewing options are displayed on the screen, so you can see where a film or programme can be found. You’ll also see if it’s available to rent, buy or watch with a subscription (if you don’t already have one). Refine your search. Siri is smart enough to keep up. With Siri, you can make follow-up commands during your search until you find exactly what you want. For example, tell Siri you want to see science fiction films released in the ’70s. Siri will find them. Then narrow your search further by saying “Only the good ones.” Siri uses reviews to pare down your list. And because you’re talking just as you normally would, it all feels completely natural. Siri does more than just search. Of course, Siri can find films and TV programmes. But that’s just the beginning. Ask Siri to show you sport scores, control playback, pull up the weather, access your settings and even check your stocks. Tell Siri to turn on Enhanced Speech, which boosts dialogue and softens music and sound effects, so you don’t wake up the whole house when you’re watching a late-night film. Or if you can’t understand a line from a programme, ask “What did he just say?” Siri will skip back and temporarily turn on closed captioning, so you can see what you missed. TV was controlled by buttons. Now it’s controlled by Touch. 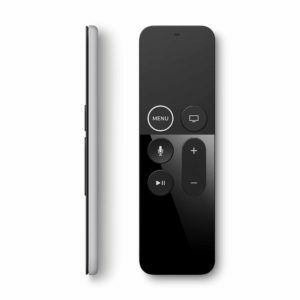 The Siri Remote has a precise Touch surface. So you can use your thumb to swipe, scroll, select and easily navigate around your screen. Which means no more endless clicking of arrow buttons to find what you want. And scrubbing forwards or backwards is more exact than ever. Instead of using clunky fast-forward or rewind buttons — where you always overshoot your target and have to settle for ‘close enough’ — now you just swipe across the timeline and use the preview frames to pinpoint where you want to go. Every move you make on the remote’s Touch surface is mirrored on your television screen. It’s so natural, you’ll wonder how you ever watched TV without it. Swipe quickly with a sweeping motion to fast-forward and rewind across large amounts of time. Or swipe with smaller, more precise movements to go almost frame by frame. The only remote you’ll need. 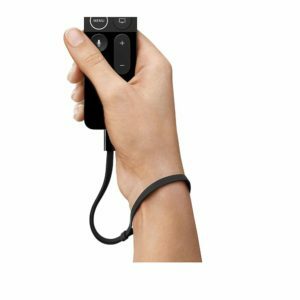 Navigating your TV with Touch is such a pleasure, you won’t want to put the remote down. And you don’t really have to. 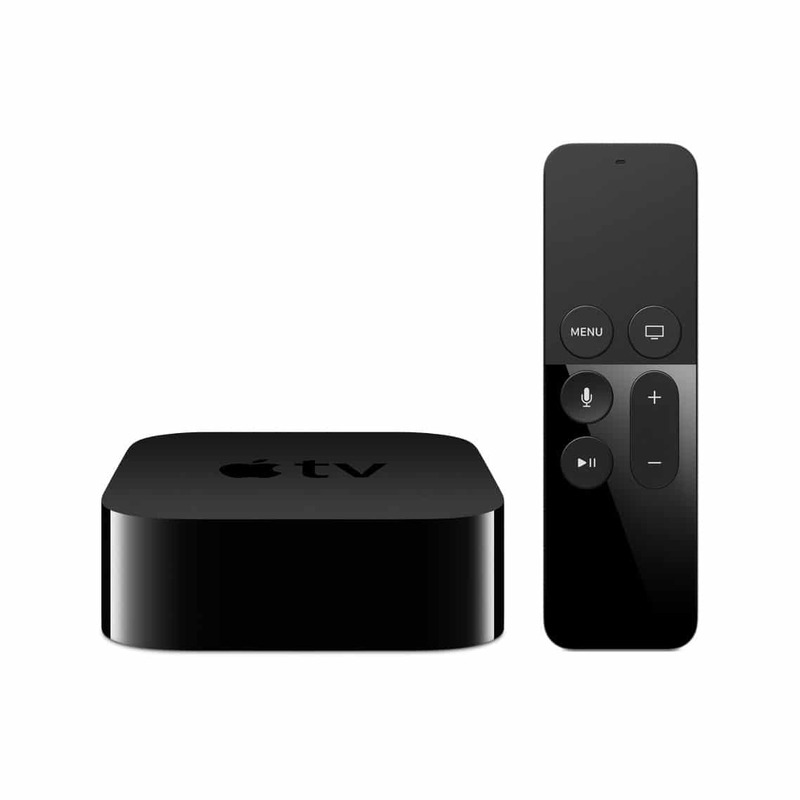 That’s because the Siri Remote can control the volume on your TV or A/V receiver — as well as turn it on or off. Which means no more juggling multiple remote controls. And thanks to Bluetooth, you don’t have to worry about where you point the remote. 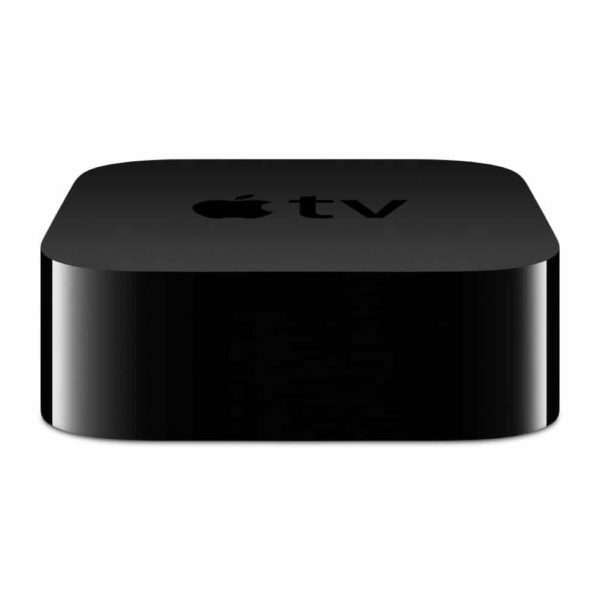 The new Apple TV picks up your commands from anywhere in the room.